Cisco Catalyst 9000 family of switches has been recognized as CRNs 2017 Overall Network Product of the Year. The Cisco Catalyst 9000 fixed and modular, core and access LAN switches have been designed for an entirely new era of networking. Now your network can learn, adapt, and evolve. An intuitive network recognizes your intent, mitigates threats through segmentation and encryption, and learns and changes over time. It’s simple. You can unlock opportunities, enhance security, improve business agility, and dramatically increase operational efficiencies. Get unmatched scale for perpetual Cisco UPOE/POE+/PoE with Catalyst 9000 switches. They’re a critical part of an integrated security architecture–one that works before, during, and after a threat occurs to reduce attack surface, detect malware and threats, and rapidly contain those threats. Catalyst 9000 switches are flexible in scale and port speed from 1 gigabit Ethernet to multigigabit (1-10 Gbps) to 40 GE. The Cisco Catalyst 9000 family stands alone. Discover what you can do with these unique benefits. Cisco Catalyst 9000 is the first purpose-built platform designed for full fabric control with Cisco Digital Network Architecture (Cisco DNA) and Software-Defined Access (SD-Access). This means simplified design, provisioning, maintenance, and security across the access network to the core. 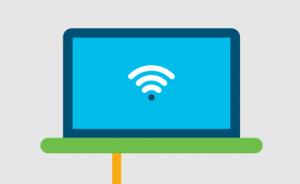 Change hours of work to minutes with Cisco DNA™ and Software-Defined Access (SD-Access). Automate patching capabilities. Simplify operations. Overcome security vulnerabilities without slowing down to certify a new software image. 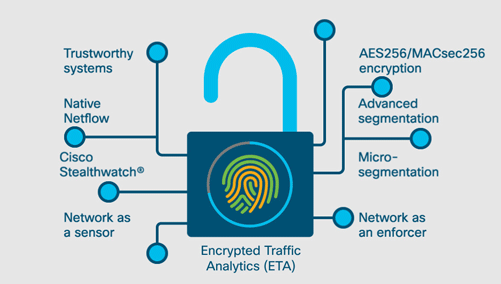 Get state-of-the-art malware detection with Cisco Encrypted Traffic Analytics (ETA). Use behavioral and pattern-based analytics on encrypted traffic to thread the needle between privacy and security. Change your network at the speed of business with the Cisco Catalyst 9000 family as your foundation. Run third-party off-the-shelf applications hosted in containers for maximum flexibility and security. Gain extraordinary visibility into wired and wireless access networks. 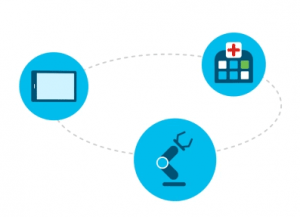 The Cisco Catalyst 9000 family (Catalyst 9500, Catalyst 9400, Catalyst 9300) offers converged network services across security segmentation, policy, and Encrypted Traffic Analytics for both user-operated and IoT devices. Get support for the industry’s highest-density Wave 2 deployments with Multigigabit Ethernet, our enhancement to the IEEE 803.2bz standard. Easily segment your network through network virtualization. Cisco Catalyst 9000 family has Cisco Universal Power over Ethernet (Cisco UPOE), the highest- density PoE in the industry, plus Audio Video Bridging (AVB)/IEEE 1588, and service discovery, along with Perpetual PoE/PoE+/, which is critical to allow IoT devices to always be powered on and secure for the rest of the network. 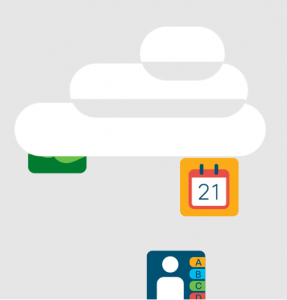 Simplify, secure, and transform your cloud environment. Why Migrate to Cisco Catalyst 9500 Switches? Why Migrate to the Cisco Catalyst 9400 Series Switches? Why Migrate to Cisco Catalyst 9300 Switches?